Here comes the…tasteful pop of colour? It’s that time of year where birds are singing, flowers are blooming, and couples are committing to spend the rest of their lives together – yes we’re talking about wedding season! Although the first image that comes to mind for traditionalists might be that of the big white dress, weddings are evolving and colours we may have not seen before are becoming more and more acceptable. In celebration of the most romantic of seasons, we’ve collected a few nuptial trends to prove that when it comes to colour, more is more. While a more subdued “blush” colour has been popular for some time among brides, wedding pinks are getting brighter and more varied. From the subtlest of off-whites to the boldest hot pink shades, this colour will continue to dominate dress selection in the coming months. From a standalone centrepiece to a full-on colour scheme, metallic are making a statement in wedding décor and decorations. 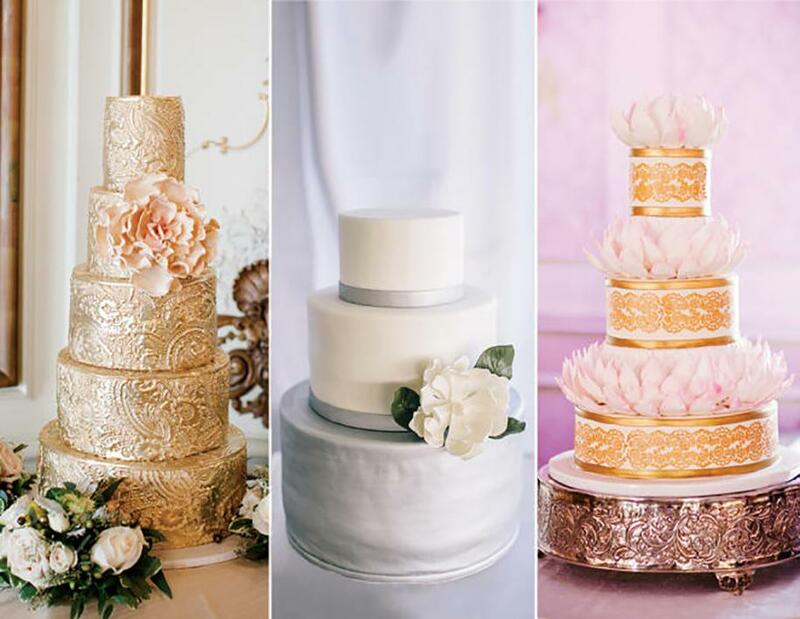 Whether silver, gold, or copper, many couples are using metallics to put a contemporary spin on their wedding. 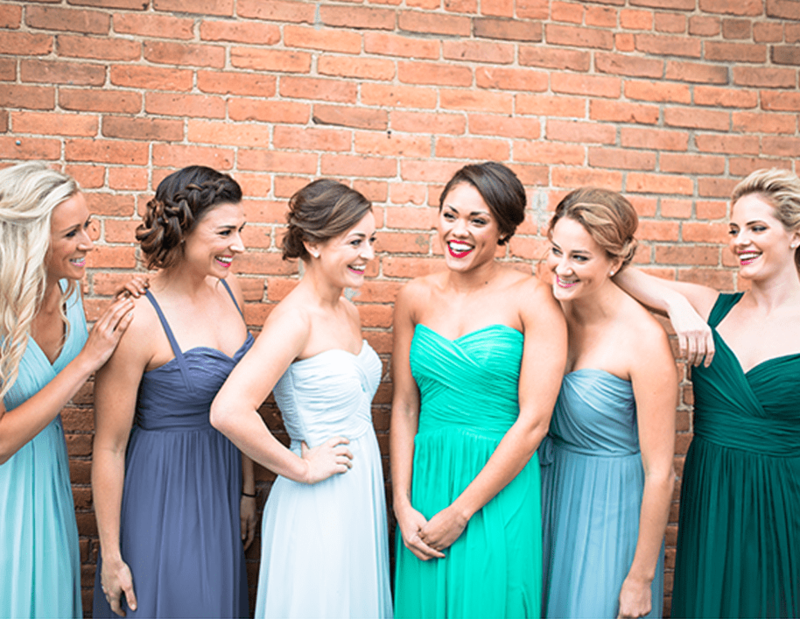 When you think of bridesmaids at a wedding, you likely picture a line of women wearing the same dress, or at least the same colour. Not any more! Modern couples are choosing a variety of colours or patterns to represent their party, adding a bit of creativity and individuality to each person. The event itself might be a happy affair, but that doesn’t mean the invitations can’t have a bit of je ne sais quois. 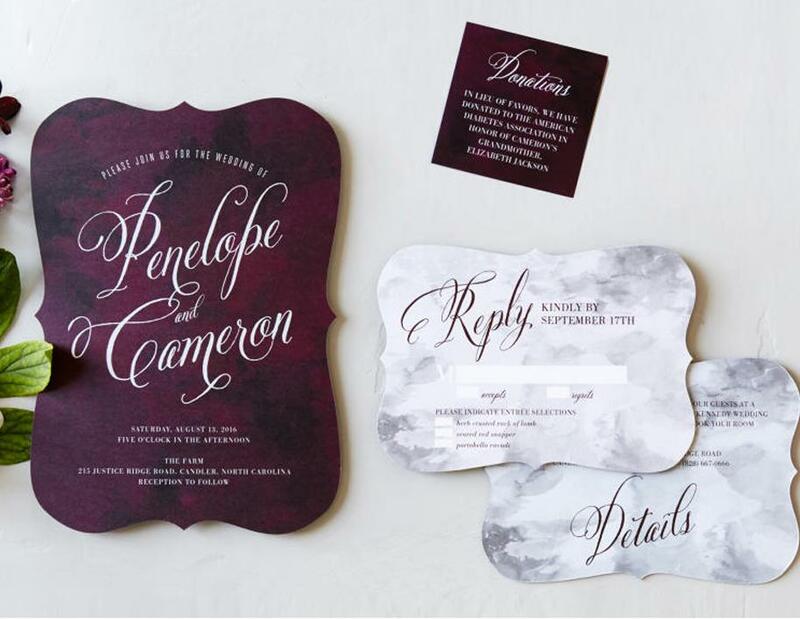 Deep plums and navies are making an appearance in the invitation game, adding a non-traditional, non-white element to an otherwise light hearted wedding. Ombre’s not just for hair anymore! 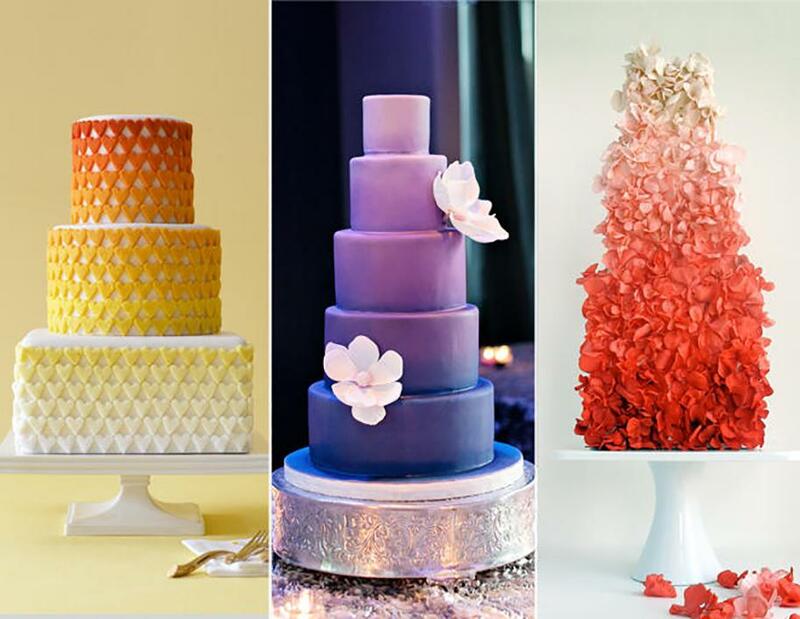 In an effort to shirk the white on white cake tradition, couples are opting for ombre cakes, using bright colour transitions to complement their theme and catch the eyes of guests.